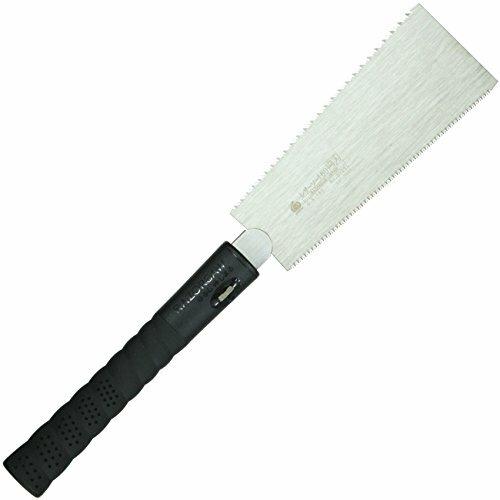 The Razorsaw 7" Double Edge Ryoba Saw made by Gyokucho has a blade length of 7" and an overall length of 15". The cross cut side has 19tpi, and the rip side has 9 tpi. A unique feature of the Gyokucho Ryoba Saws is the handle which can be tilted in relation to the blade. This allows access into areas otherwise awkward or impossible to reach. Carpenters, restoration workers and boat builders will find this feature particularly useful. The teeth are impulse hardened for extended wear. The handles are wrapped with rattan for a secure grip. The various blades can be interchanged. This Gyokucho saw has been designed to easily fit into a tool box or work bag. Use #155638 for replacement blade. Blade length 7" Overall length 15"
If you have any questions about this product by Gyokucho, contact us by completing and submitting the form below. If you are looking for a specif part number, please include it with your message.